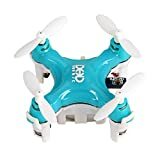 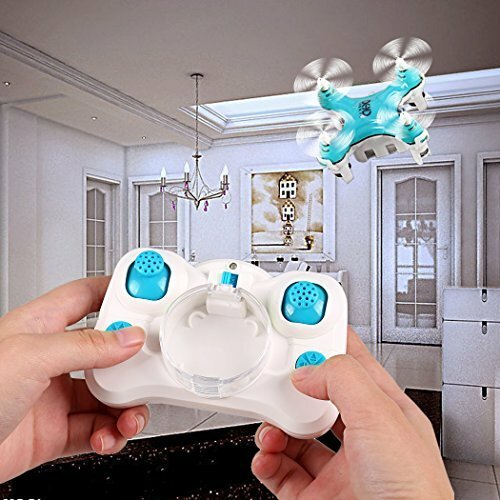 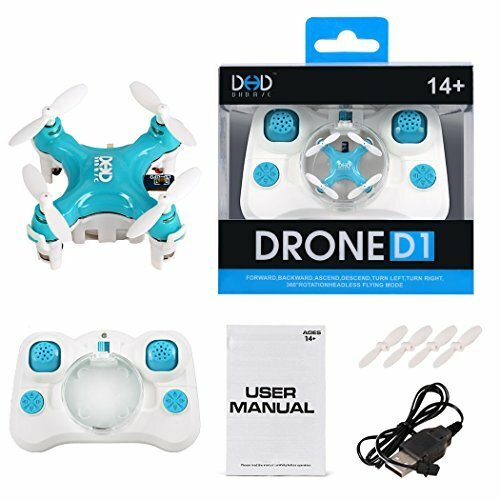 This 4 channel mini drone can perform the 360 degree flips roll with one key, it is very easy to use even for the beginner. 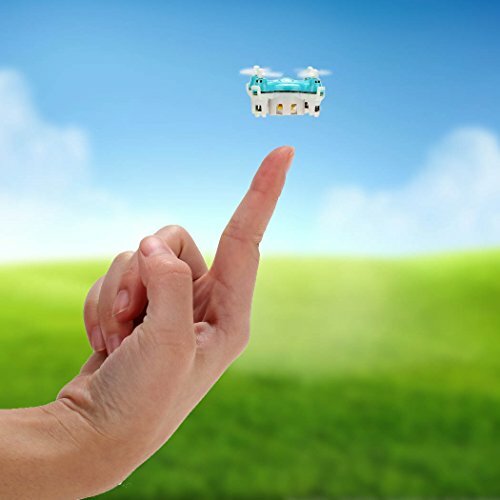 The 6 axis gyro system equiped on the quadcopter will provide you an extreme stable flight. 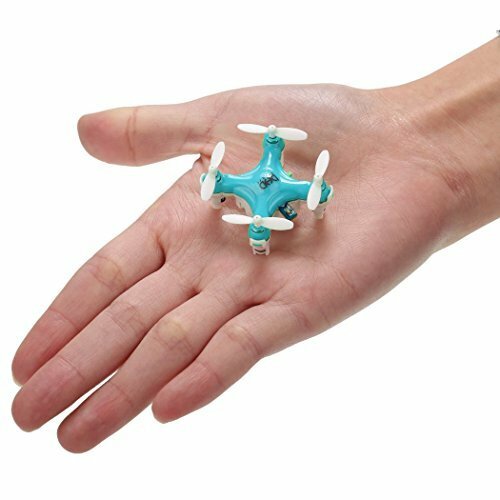 With only 2.2cm x 1.9cm it is safe and portable enough for anyone in all age and all place to play, even suitable for indoor flying. 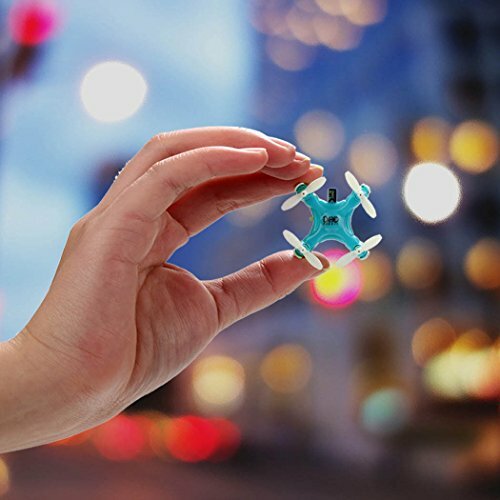 LED light makes it visible when you fly at night. Lightweight airframe with nice durability. 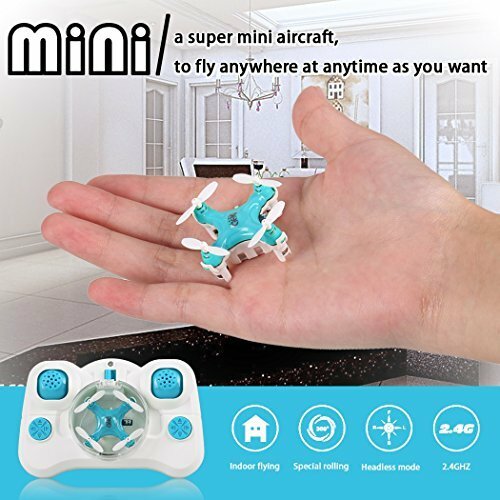 Smallest drone and portable. 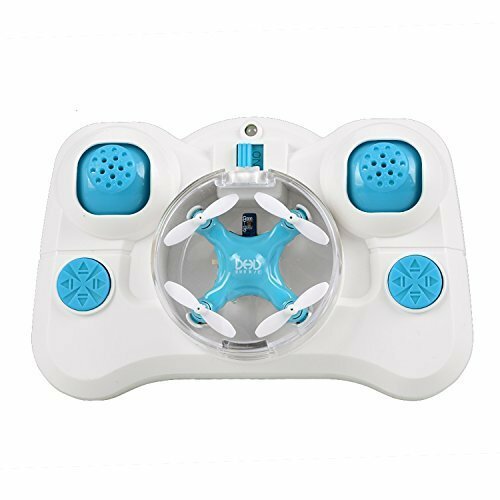 Forward, backward, ascend, descend, turn left, turn right, 360 degree rotation helpless flying mode.